If you’re interested in improving your look, you could go out and spruce up your wardrobe — but when you want to invest in something that will really transform your appearance, it may be wiser to consider a professional teeth whitening treatment. With KöR and Zoom! Whitening available at Dr. Allan S. Mohr Smile Creations, you can reveal a smile that’s up to eight shades brighter… all in just one visit to our office! And right now, you can save $100 on either treatment. Keep reading to learn more about how we can help you love your smile with Long Island teeth whitening! KöR Whitening and Zoom! Whitening treatments. The KöR uses a special oxygenated system to whiten without the need for a special light, while also reducing sensitivity for patients who may be prone to it. Zoom! Whitening is one of the most popular in-office treatments, working with the combined power of a high-powered bleaching gel and a special UV light. Zoom! Whitening is good for those who…. Want to experience all the benefits of beautifully white teeth! Whichever one you choose, you can look forward to enjoying dramatic results possible only with professional teeth whitening. Of course, you have options when it comes to how you will whiten your teeth. It seems easy enough to pick up a whitening toothpaste or one-size-fits-all bleaching kit when you’re at the grocery store, but are these solutions really worth it? In short, not really. While you may notice some whitening from over-the-counter options, only by partnering with your dentist can you receive the professional-grade whitening that reveals truly dazzling teeth. And, while teeth whitening is perfectly safe when performed as directed, it’s still a good idea to trust this treatment to a professional who knows your unique smile. Save Big on KöR & Zoom! Whitening! Our office is pleased to offer options for just about every treatment we offer. When it comes to teeth whitening treatments, you can choose from KöR Whitening or Zoom! Whitening treatments. Remember that KöR Whitening is a great option for patients who are prone to sensitivity when whitening. We can talk further about which one may be best for you during a cosmetic consultation. And there is even better news! At ASM Smile Creations, we are right now offering $100 off both treatments! Don’t wait to take advantage of this exciting savings on KöR and Zoom! Dr. Allan S. Mohr is a trusted cosmetic and restorative dentist serving patients with superior dental care. 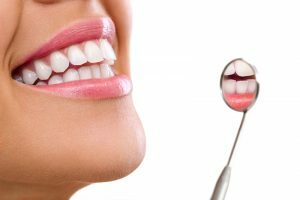 To learn more about his services or to get started with a professional teeth whitening treatment, you are invited to contact our office at 516-541-7344.
by: allanmohr at April 26, 2018 .